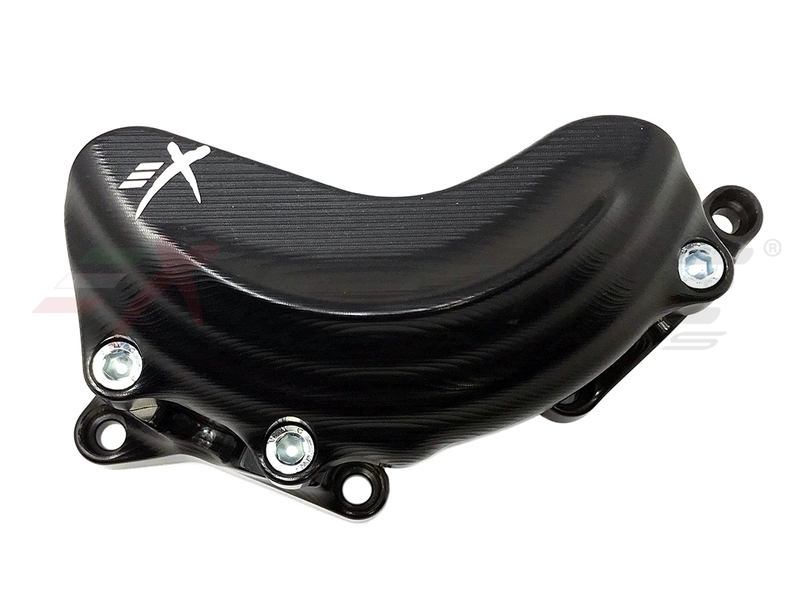 Engine Protector in Aluminium, fully whole billet with 3D machining the guarantee the best protection in case of crash and the best heat dissipation of the engine (unlike of protections in plastic materials). The structure is equipped of a slider that improves the resistance in case of a long slide on the track and also reduces the traction force on the fixing points of the engine. Covers are finished hard oxide and with laser engraves.